Is there a better alternative to SpyChat? Is SpyChat really the best app in Chat category? 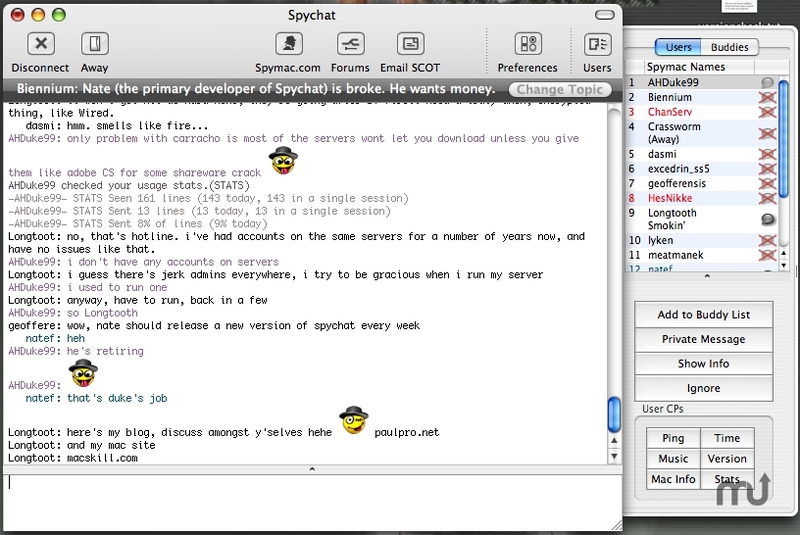 Will SpyChat work good on macOS 10.13.4? 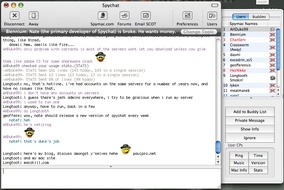 SpyChat is an IRC chatting application for Spymac.com members, SpymacChat brings Spymacers together, with event hostings, and weekly things. Come and chat with your spymac friends. Mac OS X 10.3 or later, (10.4 for Unified Aqua Look). SpyChat needs a rating. Be the first to rate this app and get the discussion started!